There is no heating in the golf cart so it was a cold sunrise out on the golf course at the Indian River Club for the November bird count with Joe Carroll and Susan Boyd. 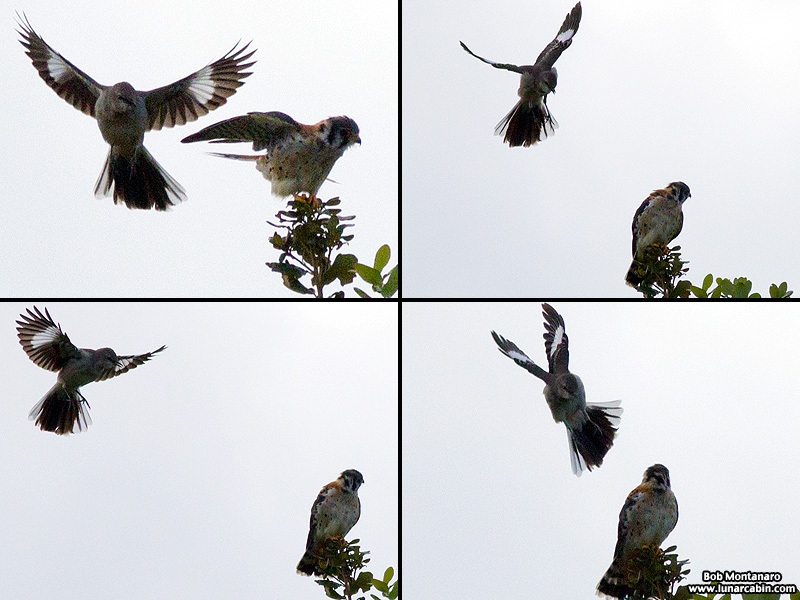 First off, a series of images show the futile attempts of a Northern Mockingbird to drive an American Kestrel out of its territory. Sadly, the light was terrible for what would have been a great series of images with the proper lighting. 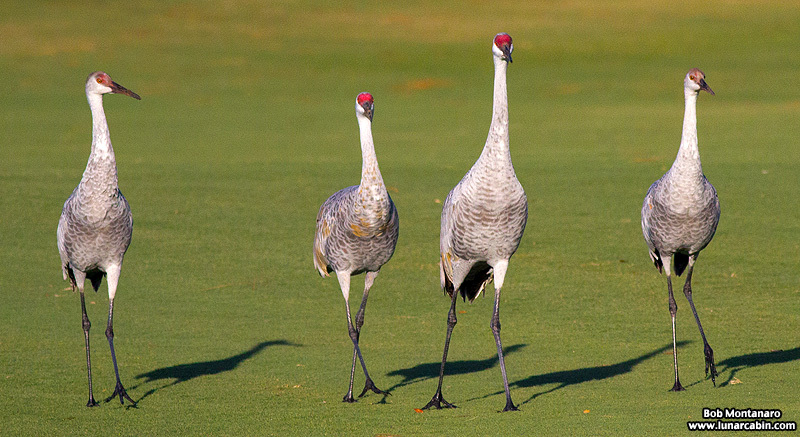 Seeing the two juvenile Sandhill Cranes and their parents made for a pleasant surprise. It was nice to see the two juveniles are surviving into adulthood. 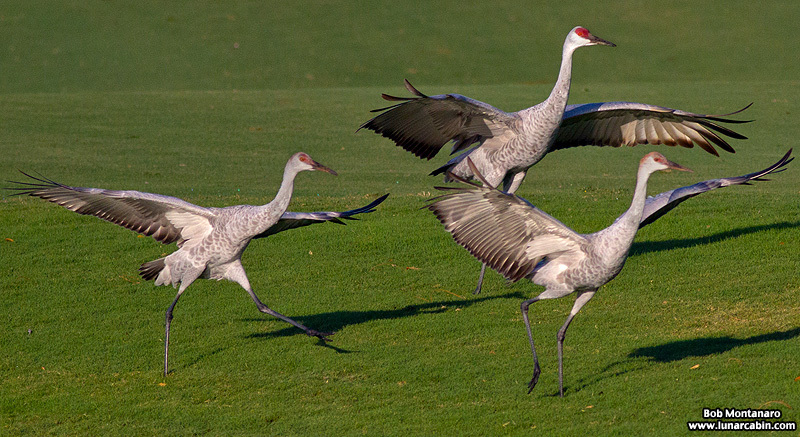 Here the two juveniles, in the foreground, burn off a lot of energy as they race across the golf course accompanied by an adult. We have been watching the family grow over the past few months. Here comes the Sandhill Crane family. The parents are in the center flanked by their kids. Three River Otters look out from the water hazard. 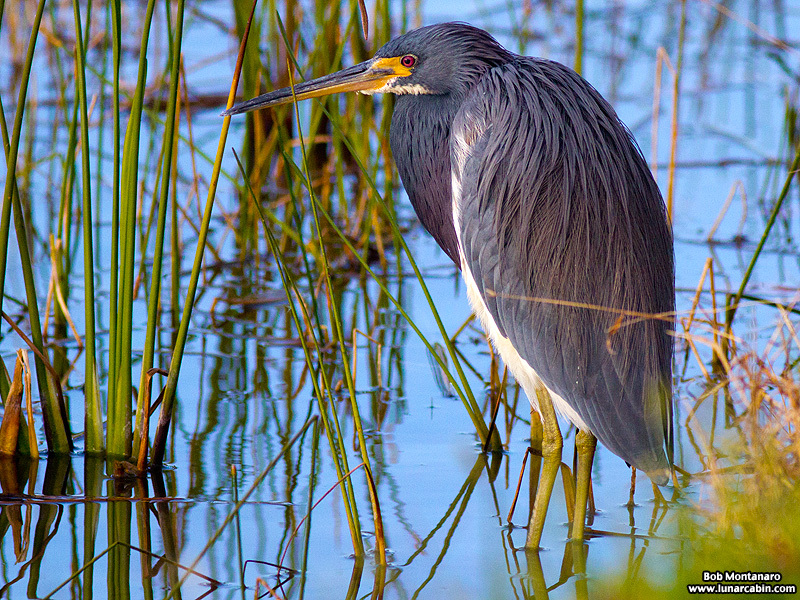 A Tricolored Heron bundled up against the cold. 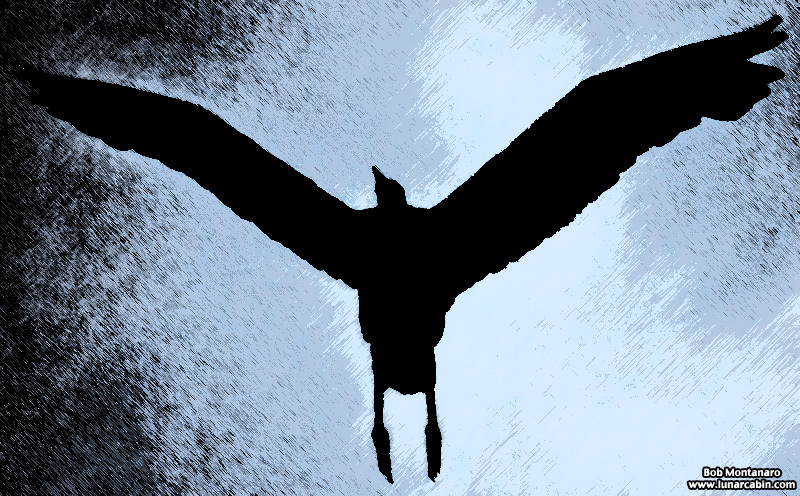 A Great Egret flies toward the sunrise. 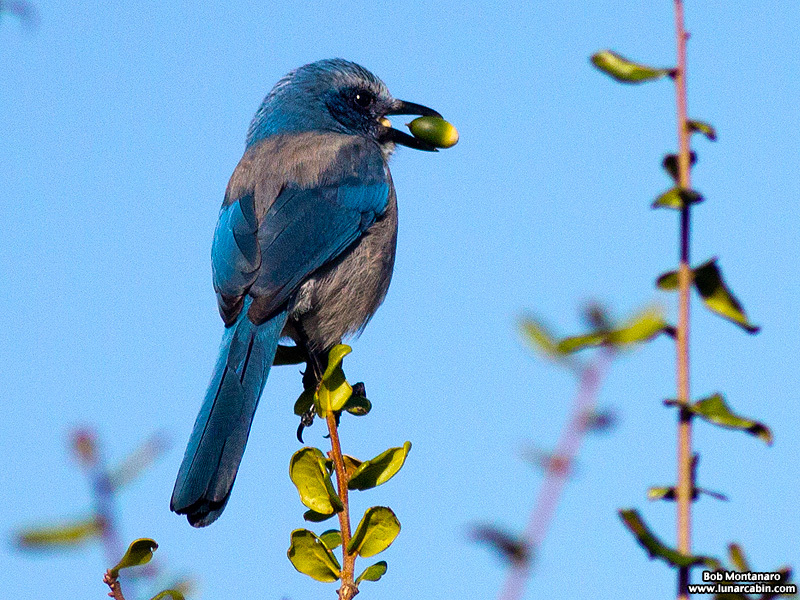 A Florida Scrub-Jay with an acorn perches atop a tree. 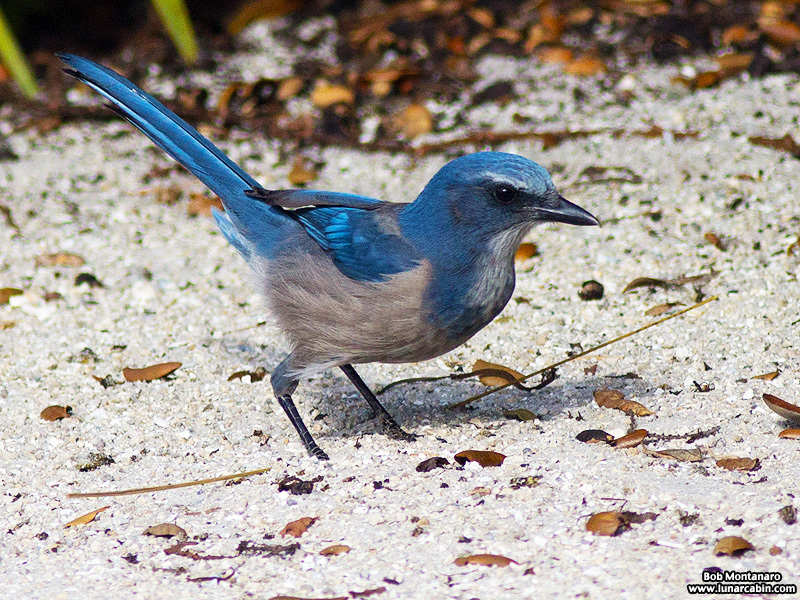 Another Scrub-Jay forages through the sand. 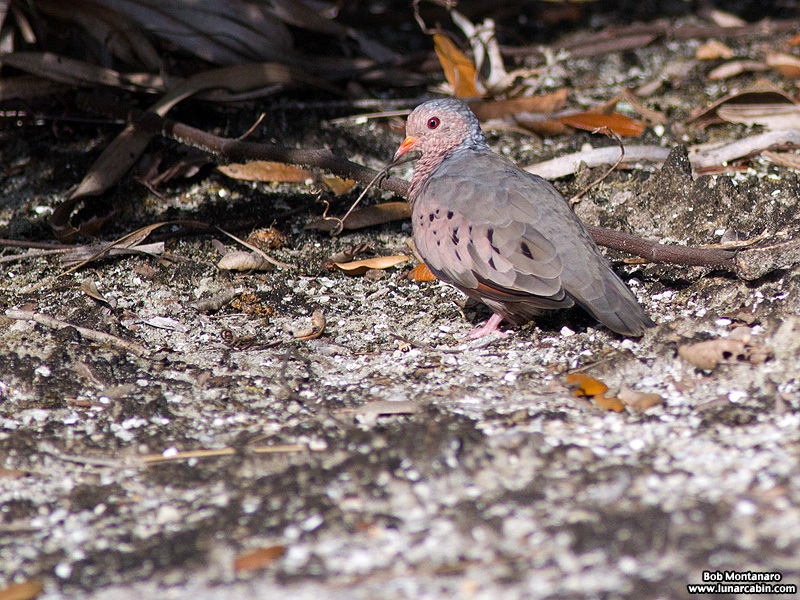 A Common Ground-Dove blends in with the surroundings.